London: Arsene Wenger revealed he will make an announcement about his Arsenal future "very soon" after his side's problems increased in a 3-1 defeat at West Bromwich Albion on Saturday. 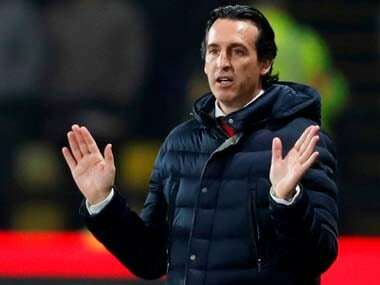 "I know what I'll do in my future, so you will know very soon," Wenger told reporters after Arsenal's fourth loss in five Premier League games. 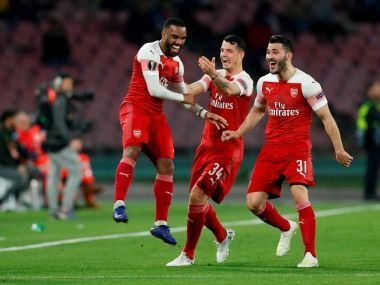 Wenger, Arsenal's manager since 1996, is under heavy pressure after his side were thrashed 10-2 on aggregate by Bayern Munich in the Champions League and fell five points off the top four in the Premier League. 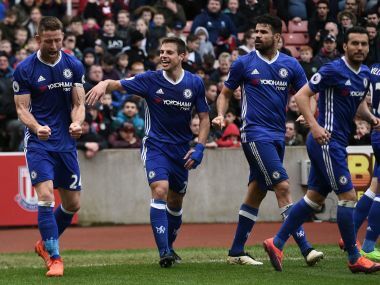 Gary Cahill's 87th-minute winner earned runaway leaders Chelsea a 2-1 victory at Stoke City, while champions Leicester City's resurgence continued with a 3-2 victory at West Ham United. Craig Dawson scored two headers at The Hawthorns as West Brom condemned Arsenal to a sixth defeat in nine games in all competitions. Dawson's 12th-minute opener was cancelled out by Alexis Sanchez, but substitute Hal Robson-Kanu restored the hosts' lead before Dawson headed in his second goal with 15 minutes to play. Rival groups of Arsenal fans paid for two planes trailing banners to fly over the ground during the game, one reading "NO CONTRACT #WENGER OUT", the other "IN ARSENE WE TRUST". "You will see," Wenger added on the subject of his future. "Today I do not necessarily worry about that. We are in a unique bad patch we never had in 20 years. Arsenal also lost goalkeeper Petr Cech to a muscular problem and Wenger revealed talisman Sanchez had sustained an ankle injury that "doesn't look good". Chelsea were missing Eden Hazard at Stoke's Bet365 Stadium due to what manager Antonio Conte termed a "little problem". They took the lead in the 13th minute when Willian's free-kick from wide on the left caught out Stoke goalkeeper Lee Grant at his near post. Jonathan Walters levelled with a 38th-minute penalty awarded for a push on him by Cahill, but the England defender atoned to smash in a late winner from Cesc Fabregas's free-kick. Stoke's Phil Bardsley was sent off in stoppage time for a second bookable offence. 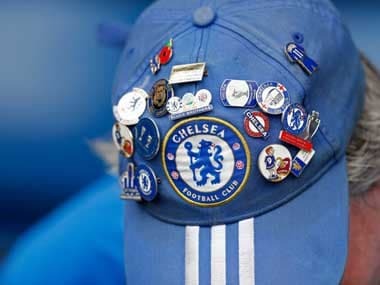 Chelsea provisionally moved 13 points clear of Tottenham Hotspur and Manchester City ahead of Sunday's games. Second-place Tottenham host Southampton, while City, level on points with Spurs, entertain Liverpool, who trail Pep Guardiola's side by a point. 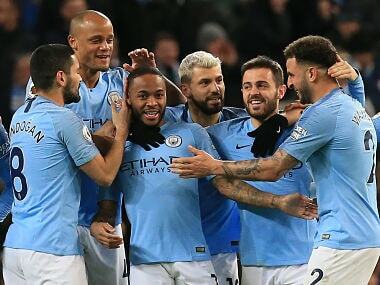 A day after being drawn against Atletico Madrid in the Champions League quarter-finals, Leicester won 3-2 at West Ham to record a fourth straight win since Craig Shakespeare succeeded Claudio Ranieri as manager. Leicester led 2-0 inside seven minutes, Riyad Mahrez's cross from the right curling straight in before Robert Huth headed in a cross from Marc Albrighton. Manuel Lanzini's 20th-minute free-kick reduced the arrears before Jamie Vardy smashed in Leicester's third. Despite Andre Ayew reducing the arrears, the visitors held on to pull six points clear of the bottom three. Everton drew level on points with fifth-place Arsenal, albeit having played two more games, after Romelu Lukaku scored his 20th and 21st goals of the campaign in a 4-0 home win over Hull City. Dominic Calvert-Lewin and Enner Valencia were also on target, while Hull lost Tom Huddlestone to a straight red card for a foul on Idrissa Gueye. Watford captain Troy Deeney's own goal gifted Crystal Palace a 1-0 win -- their third successive victory -- that elevated Sam Allardyce's side four points clear of danger. Bottom club Sunderland spurned a valuable opportunity to make up ground in a 0-0 draw at home to Burnley that left them seven points from safety. Palace's win means Swansea City slipped to fourth-bottom ahead of their trip to Bournemouth in the day's late game.